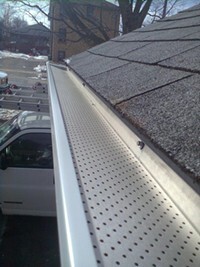 Tip Top Trough has been perfecting eavestroughs in Toronto since 1996. We are here for homeowners and builders alike looking for professionalism within Toronto’s eavestrough repairs and installation sector. We provide honest and trustworthy services. Our Toronto eavestrough cleaning services are the best in the city of Toronto! 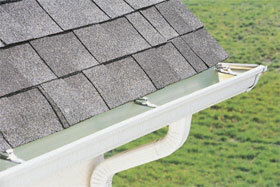 Tip Top Troughs eavestrough repair services can handle any magnitude of jobs, a little repair or complete upgrade. We provide the very best in service. Our promise to all our clients is the same: You, your business and your property will always be handled with respect and care. We strive to deliver stellar service. We are are a family owned small business and are proud to serve this beautiful city of Toronto! Whether you want to change the location of your downpipe, install or repair leaf guard in your Vaughan home; repair your aluminum or wood fascia; or you are planning to install copper soffit in place of your old aluminum soffit, Tip Top Trough is there to take this off your hands. The company prides itself on having the very best customer service and in employing competent, well-trained professionals. 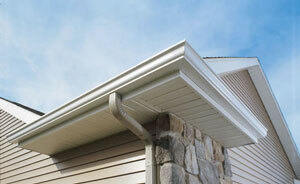 You can be sure that you’ll be given the best service for whatever problems and issues your gutters have. From simply cleaning your gutters and flushing your downpipe, removing and cleaning under your leaf guard, to fully inspecting the condition of the exterior of your home, Tip Trough offers proven solutions and the very best customer service in Vaughan, East York and the rest of GTA. Give us a call today or fill out the contact us form to receive your free quote. Tip Top Trough offers free quotes. © 2019 All rights reserved - Tip Top Trough.